يشكل Aquarius Motor Inn بموقعه الممتاز في هاملتون نقطة انطلاق جيدة لاستكشاف هذه المدينة النابضة بالحياة. إن موقع الفندق الاستراتيجي، الذي يبعد 1 km فقط عن مركز المدينة، يسمح للنزلاء بالوصول سريعاً وبسهولة إلى العديد من الوجهات المحلية المثيرة. بالنسبة لمن يريد الخروج، هذه بعض المعالم السياحية المتوفرة للزوار ‪Riff Raff Statue‬, ‪Waikato Stadium‬, ديبارتمنت اوف كونسرفيشن. إن Aquarius Motor Inn حريص على توفير الراحة للنزلاء، فلا يوفر الموظفون جهداً في تقديم أفضل الخدمات وضمان حسن الاستقبال. يقدم الفندق فرصة للاستمتاع بشريحة واسعة من الخدمات بما فيها: واي فاي مجاني في جميع الغرف, تخزين الأمتعة, واي فاي في المناطق العامة, صف السيارات, خدمة غسيل الملابس . بالإضافة لهذا,تتضمن كل غرف الضيوف مجموعة واسعة من وسائل الراحة . بعض الغرف توفر حتى تلفزيون بشاشة مسطحة, اتصال لاسلكي بالإنترنت, اتصال لاسلكي بشبكة الإنترنت (مجاني), غرف لغير المدخنين, تدفئة لإرضاء أكثر الضيوف تطلباً. إن حمام سباحة داخلي, حديقة هو المكان الأمثل في الفندق للاسترخاء وتفريغ طاقتك بعد نهار طويل. إن كنت تتطلع إلى إقامة مريحة وهادئة في هاملتون، فستجد في Aquarius Motor Inn بيتك الثاني. Location was the only good thing about the motel, easy travel into cbd. First room my son just about slipped up in shower due to poor drainage as the drain was full of hair. Reported to reception and we're given apology and another room. By this time we were tired from the days travel weather was terrible so we took the room. Only to find that the cups were filthy, shower tray had been cracked and repaired but didn't give you confidence that it would hold your weight. Room smelt quite musty and damp carpet around the main bed which had seen better days. Poor housekeeping all round as I found the previous occupants tshirt behind the curtains when I went to draw them for the evening. 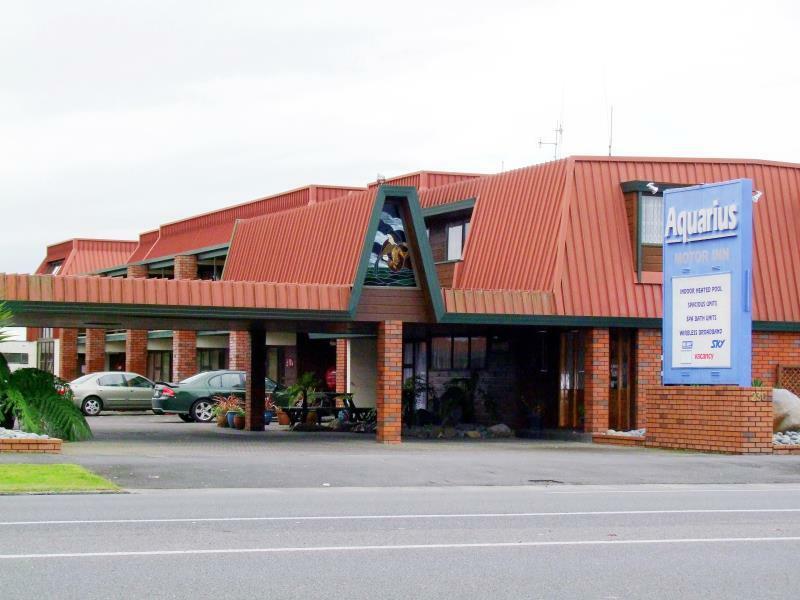 Basically very poor motel thats in desperate need on an overhaul and upgrading of facilities. Do not recommend for travelling families or for business. This motel was extremely shabby. While it slept 3 the kitchen only had enough room for 2 at the table. The fridge overheated making the small room very hot but froze things inside. The thermostat was broken so there was no way to adjust the temperature. The hob dials had no numbers on them so there was no way of knowing which way to turn them on/off. Distinct lack of cooking utensils. Staff were helpful though. The road noise was still very loud at night & early morning. Pool was nice size but not very well maintained. The rooms were reasonably clean.